Expires in 1wk . Last validated 5d ago . Used 9 times. 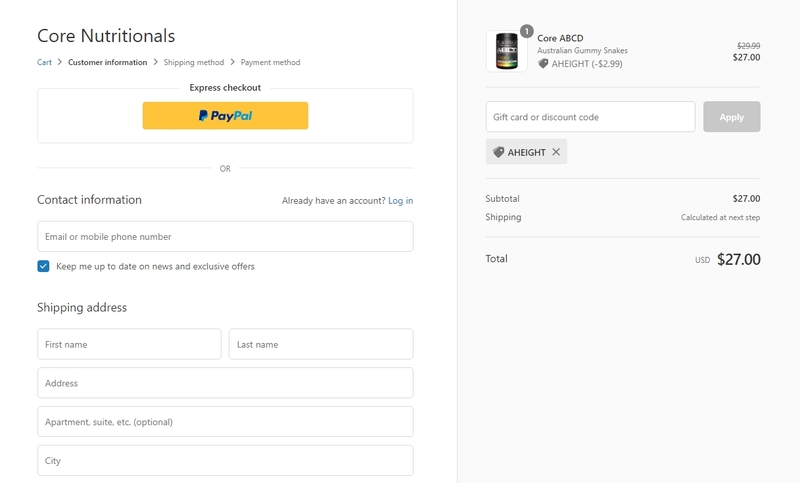 Carlos alfonso marin theran just go to the online store, add to the cart the items that you want, apply this promo code during the checkout process to get the discount and take 10% Off Your Order now. Offer ends soon. Exclusions may apply. For more information about this deal see screenshot. David This deal was verified and it is working as described. 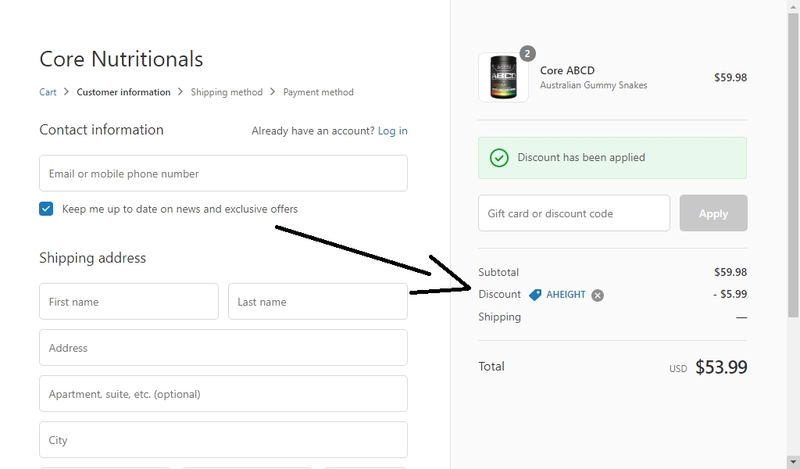 Select the items and enter the promo code <AHEIGHT> at checkout to get 10% off your next order at Core Nutritionals. Daniel I have tested this promo code and verified that it works as described. Just enter the code <AHEIGHT> at checkout to get 10% off your next order at Core Nutritionals. 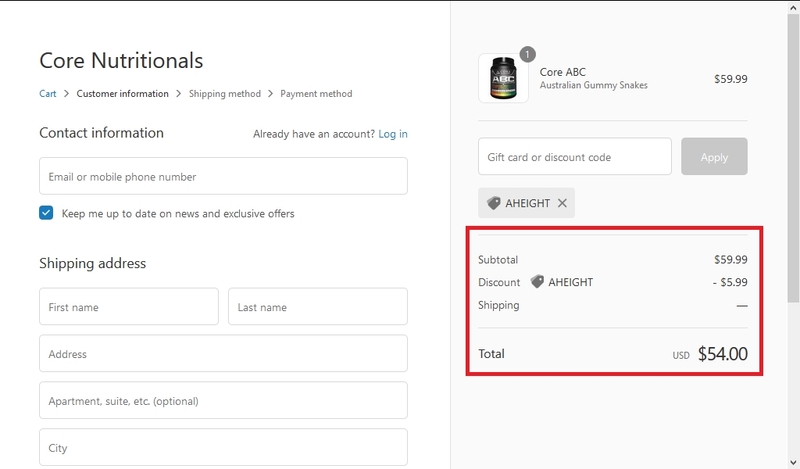 Miguel Mendoza This deal is currently active and working as described, Add products to your cart and paste the code at checkout to save 10% off your next purchase at Core Nutritionals.